Millennials are among the most tech-savvy and innovative personnel making up today's workforce. Google refers to this new, dynamite generation of employees as "smart creatives." They have deep technical knowledge of the digital machines powering the Information Age and the hands-on experience to match. At the same time, millennials are presenting turnover complications for employers. A recent Gallup report on the millennial generation reveals that 21% of millennials say they've changed jobs within the past year, which is more than three times the number of non-millennials who report the same. Gallup estimates that millennial turnover costs the U.S. economy $30.5 billion annually. Obviously, this is not financially feasible for the majority of companies. Millennials are the new workforce: employers need a new performance management style. "Their common characteristic is that they work hard and are willing to question the status quo and attack things differently. This is why they have such an impact. It is also why they are uniquely difficult to manage, especially under old models, because no matter how hard you try, you can't tell people like that how to think...If you can't tell someone how to think, then you have to learn to manage the environment where they think. And make it a place where they want to come every day." Getting and keeping the best millennials (like Google does) requires intentional management of the context where millennials work. This means looking past job descriptions and focusing on strategic performance management. Gone are the days when "managing" meant simply understanding the needs of the company and telling employees what to do. Millennials care more than previous generations about why they are doing what they are doing. They are not satisfied being automatons in an assembly line of tasks that increase ROI for bosses and shareholders. Micromanaging millennials is anything but performance management. That's why performance management is about creating and maintaining an optimized environment for employees. And that starts with your company culture. 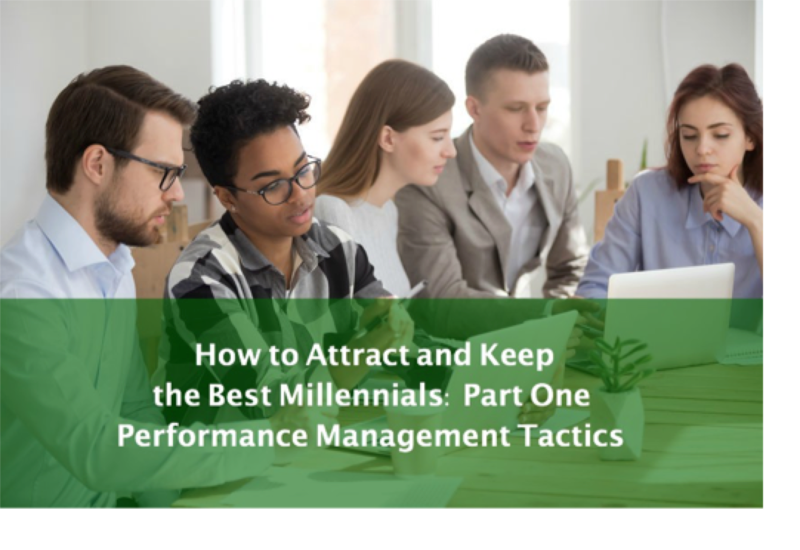 The beauty of performance management (for millennials specifically) is that employers can create unique, attainable goals that inspire employees. And because millennials are "power users" of whatever communication channels the company wants to employ, disseminating those goals has never been easier or faster. The first step toward building a healthy business is crafting a mission statement. If you have not already done this, you can use a guide like this one for entrepreneurs to align your values with your business' products/services. Assuming that you have a mission you are proud of, your goals should demonstrate how you will flesh out the culture reflected in the mission and values. Gallup has found that only 29% of millennials are engaged at work, meaning only about three in ten are emotionally and behaviorally connected to their job and company. Goals unify a team around a mission, particularly those goals that are both challenging and attainable. If an organization is unable to map out a road plan, a purpose of employment, it will unfortunately notice a high 0-2 year turnover. Millennials need direction and meaning, an interesting mixture of altruism and self-interest. Constantly setting and communicating goals is the surest way to create purpose and accountability. This is the first major step to building trust between the company and its employees. Expectations are different from goals. A goal is an objective everyone is aiming for. An expectation is a standard that one human has for another. And unfortunately, a lot of people fail to define their expectations, which means that in any group there tend to be hundreds of unmet demands and mysterious offenses among members. Psychologists don't wholly agree on why expectations end up being complicated and the source of anxiety in human relationships. But the reality is that most adults still assume they will get what they expect without ever having reached consensus with those looked to to fulfill the expectations. Therefore, company leadership should communicate expectations to the team. The team should be able to communicate their expectations to the leadership and to one another. But just communicating expectations isn't enough. Individuals and groups have to share, listen, and then calibrate their expectations based on new information. Managing expectations is helping each member understand the reality of what can be achieved and who can achieve it. The millennial workforce is a drastically more diverse group. Aside from this happening naturally, companies are also exerting greater effort to increase that diversity. Experts directly link better innovation and increased market share with gender and ethnically diversified workforces. As a result, defining company goals and managing expectations among team members is more vital than ever. If management does not know how to properly communicate with and understand different ways of thinking, the company will deteriorate organizationally and financially. Great employees will leave because they do not feel that their contributions matter. The employees that stay only know how to think one way, and narrow-minded business tactics seldom work in the business sector. Promoting collaboration among team members encourages engagement and employee satisfaction at work. Google leaders Schmidt and Rosenberg purposely sat employees close together, because they realized that proximity bred greater innovation and camaraderie. Ironically, this realization took place many years ago, and Google developers have since delivered virtual proximity to humans everywhere. Seating employees close together is still a popular way to set up the office. But it is not feasible for midsize and larger companies to cluster the entire workforce into one tight space. That's why today's HR software capabilities have intentionally grown to empower collaboration among team members. But not just any software will produce the right effect. In a report published by the Center for General Kinetics on the millennial workforce and company social media, survey results demonstrated that about 30% of workers say outdated technology slows them down and may cause them to quit their jobs. Millennials and smart creatives long for an environment where they are free to excel in collaborative teams. Having raised themselves on technology, they will relish the digital channels that empower them to collaborate on projects, even though team members might be in different parts of the world. 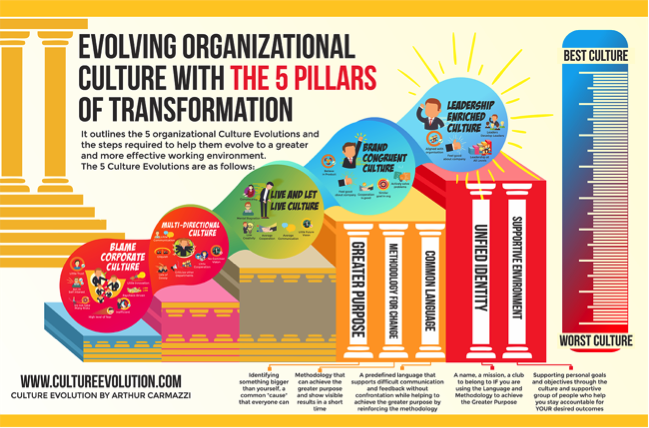 To achieve this outcome, it is vital that company leaders examine the various social media and forum capabilities of HR software to meet the collaborative needs of their staff. The second key piece to managing your millennial workforce relates to work-life balance. In the next installment of this discussion, we'll talk about how to prevent burnout by promoting healthy culture at work. Ken Fortney is a marketing coach and business writer at StartupScaffold.com. In addition to his MBA and Masters in Marketing/Public Relations, Ken researches entrepreneurial self-efficacy and provides SEO content marketing strategy to 21st Century businesses.